Looking for a day of sneak peeks under the hoods of classic vehicles? 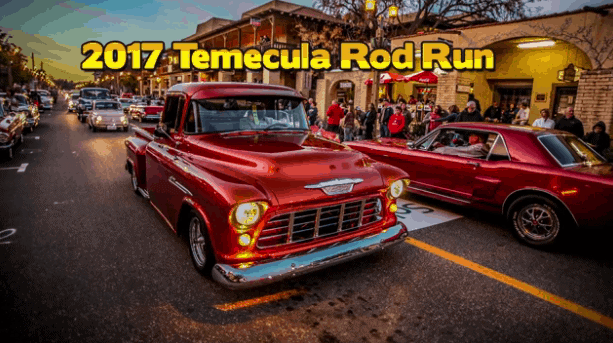 The City of Temecula locks down Old Town on Saturday, March 2, from 9:00am till 4:00pm, for the Temecula Rod Run. Classic beauties are waiting for you to get an up-close and personal look. The vehicles at the Temecula Rod Run are freshly detailed and polished to “Show and Shine,” and some of the finest street rods on the West Coast. Do not miss this family fun event! Due to the amount of people in attendance, dogs are discouraged from attending. If necessary, dogs must be on leash at all times. Scooters and skateboards also discouraged.